Magnetic Display Materials, A4 coloured Magnetic Sheets. 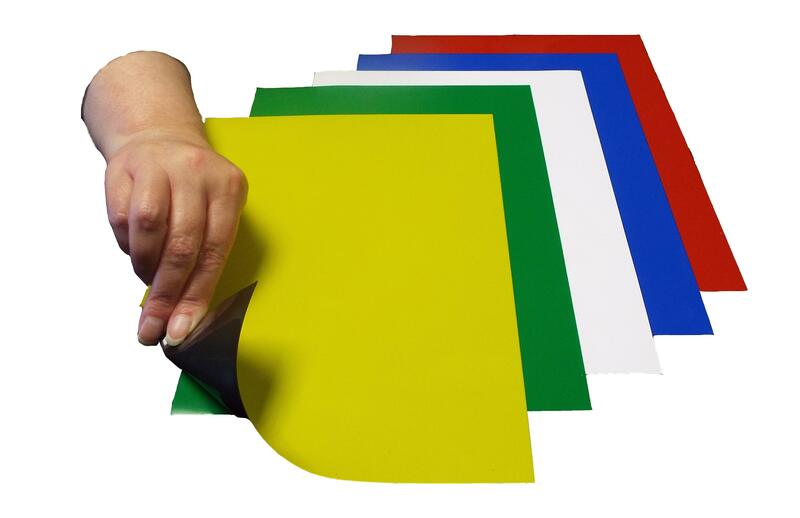 Pack of 10 A4 coloured magnetic sheets (296mm x 211mm x 0.6mm). Ideal for any arts & crafts, making of signs and fridge magnets, metal dies. Easy to cut to required size/shape due to it’s flexibility and thickness. Quality PVC gloss finish.